Origin and distribution: The hairy thin tailed type of sheep originated in western Asia, and entered Africa through the Isthmus of Suez and Bab el Mandeb. Until the third Millennium BC, the hairy thin-tailed sheep was the only type of sheep on the African continent. Domestic sheep had reached Egypt and other parts of North Africa by 5000 BC (Epstein 1971). Djallonke sheep inhabit the area south of latitude 14° N including the coastal areas of west and central Africa. These include Nigeria, Dahomey, Ghana, Ivory Coast, Guinea, Senegal, Cameroon, Gabon, Congo and Southern Mali. They are also found in Angola and Botswana. In Nigeria it is called Nigerian dwarf; in Chad, it is called Kirdi or Lakka, and in Cameroon, Fouta Djallon the Djallonké (Mason 1951). Physical characteristics: They are generally white coloured although usually spotted with black or red colours. Tan with black belly is also common. They have a wither height of 40-60 cm and a body weight of 20-30 kg; these measurements indicate their characteristic small size (DAGRIS 2005). The horns of rams are crescent shaped with angular cross sections; the ewes are polled or have tiny scars. The eyes are large; their back is straight; their tail is fairly thick at the root growing thinner till it terminates at the hocks. Male have a throat ruff and mane. They are hair type. Peculiarity: The Djallonké sheep are known for their adaptation to the tropical hot and humid environment of West Africa, and are considered tolerant to trypanosomosis infections (Osaer 1998,2000; DAGRIS 2005). Breed status: The population number for the Djallonké is estimated at 1.8 million in Ghana, half a million in Guinea and considerable number (data not available) are found in other Western African countries (DAD-IS 2005). Thus it is not at a risk of disappearance [CS 1.19 by Yapi-Gnaore]; [CS 1.23 by Fall]. Utility: The Djallonke sheep are used for meat. They have good reproductive capacity: age at first lambing is 18.8 months and lambing interval 10 months. Average Litter size is 1.22 (DAGRIS 2005), ranging from 1.0-1.7 depending on variety; for example, it is 1.12 lambs for the variety in Senegal, and 1.7 for that in Ghana. Ewes have a productive life of 5.8 years (ILCA 1982). The average lambing interval from literature reports is 257.95 days ranging from 191 to 344 days (DAGRIS 2005). Lambing intervals and postpartum weights for Djallonké sheep kept under semi-tethered and free-range systems were 247.1 days and 19.64 kg and 223.0 days and 21.92 kg, respectively (London and Weniger 1996), while pre-weaning lamb mortality rates for semi-tethered and free-range management systems in Ghana were 25% and 16%, respectively (London and Weniger, 1996). Average birth weight for males and female lambs in Côte d'Ivoire was 2.2 and 2.1 kg, respectively (Yapi- Gnaoré et al. 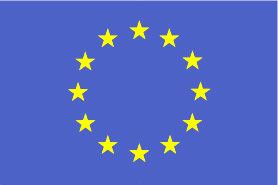 1997a). Armbruster et al. (1991b), in a study on three types of flocks in south-east Côte d'Ivoire, reported a mean birth weight of 1.9 kg. Birth weights ranging from 1.04-1.62 was reported in Nigeria and 1.06-1.45 in Ghana by Wilson (1991). Tuah et al. (1999) reported birth weight ranging between 1.5 and 2.1 depending on dam's nutrition levels in Ghana. A meta-analysis of 88 literature reports (DAGRIS 2005) indicate that average birth weight at 1.85 kg ranging from 0.75 to 2.50 kg. Reported weaning weights range from 7.4 to 11.0 kg (Armbruster et al. 1991b, DAGRIS 2005, Yapi-Gnaoré et al. 1997a). Djallonké sheep have a high rate of survival (90%) to weaning at 100 days (Yapi-Gnaoré et al. 1997a) [CS 1.19 by Yapi-Gnaore]. In a study made on station animals, weights at 180- and 365-days for males were 19.7 (s.e. 0.24) and 31.8 (s.e. 0.45), respectively. ) Average yearling weight is reported to be 20.08 kg ranging from 16.2 to 23.3 kg (DAGRIS 2005). Ngere (1983) reported mature ewe mean body weight of 21 (s.d. 2) kg, and at 26 (s.d. 3) kg for the mature rams in traditionally managed flocks in Nigeria. The overall flock productivity was 11.6 kg of weaned lamb at 105 days per ewe per year for semi-tethered flocks whereas those of free-ranging flocks were 13.8kg/ewe/year (London and Weniger 1996). Armbruster T. Peters K.J. and Hadji-Thomas A. 1991a. Sheep production in the humid zone of West Africa. III. Mortality and productivity of sheep in improved production systems in Côte d'Ivoire. Journal of Animal Breeding and Genetics. 108: 220-226. Armbruster T., Peters K.J. and Metz T. 1991b. Sheep production in the humid zone of West Africa. III. Growth performance and liveweight of sheep in improved and traditional production systems in Côte d'Ivoire. Journal of Animal Breeding and Genetics. 108: 210-219. Epstein H. 1971. The origin of the domestic animals of Africa Volume II. Africana Publishing Corporation. New York. London. Munich. pp. 53-56. ILCA 1982. Evaluation of the productivities of Djallonke sheep and N'Dama cattle at the Centre de Recherches Zootechniques, Kolda, Senegal. ILCA Research Report No. 3. International Livestock Centre for Africa, Addis Ababa, Ethiopia. London J.C. and Weniger J.H. 1996. Investigations into traditionally managed Djallonké-sheep production in the humid and subhumid zones of Asante, Ghana. V. Productivity indices. Journal of Animal Breeding and Genetics. 113(6): 483-492. Mason I.L. 1951. The classification of West African livestock. Edinburgh. Commonwealth Bureau of Animal Breeding and Genetics, Technical Communication No. 7. Ngere L.O. 1983. The small ruminants of West Africa. OAU/STRC/IBAR, Nairobi, Kenya. Second OAU Expert Committee Meeting on Animal Genetic Resources in Africa. 24-28 November 1983: Bulawayo, Zimbabwe. pp. 113-121. Osaer, S. Goossens B. Eysker M. and Geerts S. 2000. 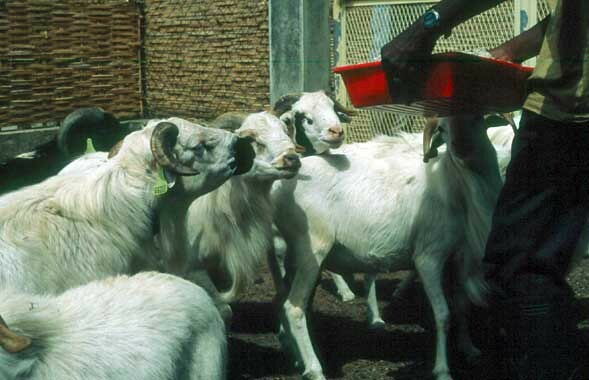 The effects of prophylactic anthelmintic treatment on the productivity of traditionally managed Djallonké sheep and West African Dwarf goats kept under high trypanosomosis risk. Acta Tropica. 74(1): 3-24. Osaer, S. Goossens B. Jeffcoate I. Jaitner J. Kora S. and Holmes P. 1998. Effects of Trypanosoma congolense and nutritional supplements on establishment and outcome of pregnancy in trypanotolerant Djallonké ewes. Animal Reproduction Science. 51(2): 97-109. Tuah A.K. Obese F.Y. Osei S.A. Okai D.B. Adomako D. Boye-Frempong E. Amaning K.O. and Said A.N. 1999. Effects of levels of cocoa pod husk and NaOH-treated corncob on the reproductive performance of Djallonké sheep. Tropical Agriculture. 76(2):131-135. Wilson R.T. 1991. 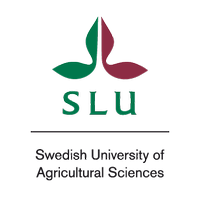 Small ruminant productions and the small ruminant genetic resource in tropical Africa. FAO Animal Production and Health Paper. no. 88. FAO, Rome (Italy). 231p. Yapi-Gnaore C.V. Oya A. Rege J.E.O. and Dagnogo B. 1997a. Analysis of an open nucleus-breeding programme for Djallonke sheep in the Ivory Coast. 1. Examination of non-genetic factors. Animal Science (UK). 64(2):291-300. Yapi-Gnaore C.V. Rege J.E.O. Oya A. and Alemayehu N. 1997b. Analysis of an open nucleus-breeding programme for Djallonke sheep in the Ivory Coast. 2. Response to selection on body weights. Animal Science (UK). 64(2):301-307.